Description: Perception is everything! Are you being perceived the way you want to be? When it’s all said and done, how will your peers, friends, family, employers, colleagues, and others describe you? This exercise will help you explore the type of person you want to be in your various life roles. 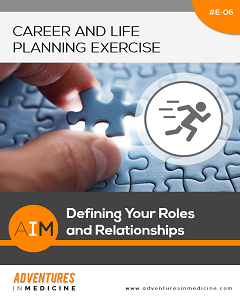 Define each role you play in your life and career, such as, physician, spouse, employee, father/mother and identify the desired qualities and characteristics for each role. Explore how you are perceived by people in your various life roles to ensure your perception matches their reality. 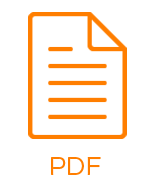 Create a document that you can periodically revisit and evaluate your progress and direction.